The Herl Home Dream Team with Keller Williams Realty Centre, your Best Maryland Properties experts - a full-time team with over 35 years of experience. We provide service to our clients in all areas of Maryland. Our areas of specialty include real estate in Burtonsville, Maryland. If you or someone you know is interested in Buying a home, Selling a home or Investing in real estate in Burtonsville, Maryland, we can help! We provide Experience, Integrity and Simplicity to help you through the complex real estate process. Our website has all the information you need. 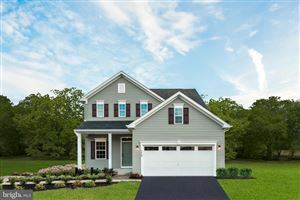 It is designed to share info about the community of Burtonsville, its neighborhoods, real estate trends, housing prices and the ability to create your own search for Homes For Sale. Burtonsville, located in Montgomery County was originally called Burton's, takes its name from Isaac Burton, who in 1825 bought out his siblings' shares of his father's land and became the major landowner in the area. He and his wife Keturah had 17 children, many of whom stayed in the area as adults. The community itself grew around the intersection of Old Columbia Pike and the road to Sandy Spring. In the 1850s Isaac Burton became the first postmaster of the newly-established post office in the vicinity, which operated out of his store at the intersection. Burtonsville's core area today continues to center around the intersection of MD Rt. 198 and US Rt. 29. This populard commuter location is about halfway between Baltimore and Washington DC.